Randolph Caldecott ( /ˈkɔːldəˌkɑːt/ ;  22 March 1846 – 12 February 1886) was an English artist and illustrator, born in Chester. The Caldecott Medal was named in his honour. He exercised his art chiefly in book illustrations. His abilities as an artist were promptly and generously recognised by the Royal Academy. Caldecott greatly influenced illustration of children's books during the nineteenth century. Two books illustrated by him, priced at a shilling each, were published every Christmas for eight years. An artist is a person engaged in an activity related to creating art, practicing the arts, or demonstrating an art. The common usage in both everyday speech and academic discourse is a practitioner in the visual arts only. The term is often used in the entertainment business, especially in a business context, for musicians and other performers. "Artiste" is a variant used in English only in this context. Use of the term to describe writers, for example, is valid, but less common, and mostly restricted to contexts like criticism. Boughton is a neighbourhood to the east of Chester city centre, part of the unitary authority of Cheshire West and Chester and the ceremonial county of Cheshire, England. 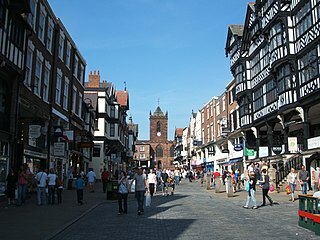 It is located atop the steep banks of the River Dee as it turns the meadows bend for the last time around the 'Earls Eye' before flowing into Chester. Wirswall is a village and civil parish in the unitary authority of Cheshire East and the ceremonial county of Cheshire, England, located at SJ544441 near the Shropshire border, around 1½ miles north of Whitchurch. The historical township had an area of 973 acres (3.94 km2). The civil parish also includes the settlements of Bradeley Green, Wicksted and part of Willey Moor. 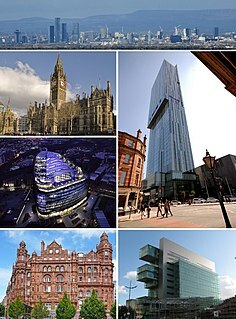 After six years at Whitchurch, Caldecott moved to the head office in Manchester of the Manchester & Salford Bank. He lodged variously in Aberdeen Street, Rusholme Grove and at Bowdon. He took the opportunity to study at night school at the Manchester School of Art and practised continually, with success in local papers and some London publications. It was a habit of his at this time, which he maintained all his life, to decorate his letters, papers and documents of all descriptions with marginal sketches to illustrate the content or provide amusement. A number of his letters have been reprinted with their illustrations in Yours Pictorially, a book edited by Michael Hutchings. In 1870, a painter friend in London, Thomas Armstrong, put Caldecott in touch with Henry Blackburn, the editor of London Society , who published a number of his drawings in several issues of the monthly magazine. Rusholme is an inner-city area of Manchester, England, about two miles south of the city centre. The population of Rusholme ward at the 2011 census was 13,643. Rusholme is bounded by the neighbourhoods of Chorlton-on-Medlock to the north, Victoria Park and Longsight to the east, Fallowfield to the south and Moss Side to the west. It has a large student population, with several student halls and many students renting terraced houses, and suburban houses towards the Victoria Park area. Bowdon is a village and electoral ward in the Metropolitan Borough of Trafford, Greater Manchester, England. Bowdon, Hale and Hale Barns together are regarded as the wealthiest areas in Greater Manchester, and similarly wealthy to Cheshire Golden Triangle towns Wilmslow, Alderley Edge and Prestbury. 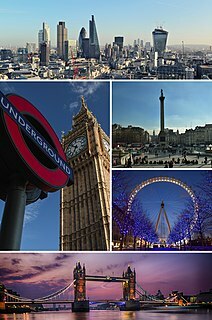 These towns and the area between them contain some of the most expensive properties in England outside London. The Harz is a Mittelgebirge that has the highest elevations in Northern Germany and its rugged terrain extends across parts of Lower Saxony, Saxony-Anhalt, and Thuringia. The name Harz derives from the Middle High German word Hardt or Hart, Latinized as Hercynia. The Brocken is the highest summit in the Harz with an elevation of 1,141.1 metres (3,744 ft) above sea level. The Wurmberg is the highest peak located entirely within the state of Lower Saxony. In 1877 Edmund Evans, who was a leading colour printer using coloured woodblocks, lost the services of Walter Crane as his children's book illustrator and asked Caldecott for illustrations for two Christmas books. The results were The House that Jack Built and The Diverting History of John Gilpin , published in 1878. They were an immediate success; so much so that Caldecott produced two more each year for Evans until he died. Many of Evans’ original printing blocks survive and are held at St Bride Library in London. The stories and rhymes were all of Caldecott's choosing and in some cases were written or added to by himself. In another milieu Caldecott followed The Harz Mountains with illustrations for two books by Washington Irving, three for Juliana Ewing, another of Henry Blackburn's, one for Captain Frederick Marryat and for other authors. Among well known admirers of his work were Gauguin and Van Gogh. In 1879 he moved to Wybornes, a house near Kemsing in Kent. It is there that he became engaged to Marian Brind, who lived at Chelsfield about seven miles away. They were married on 18th March  1880 and lived at Wybornes for the next two years. There were no children of the marriage. In the autumn of 1882 the Caldecotts left Kent and bought a house, Broomfield, at Frensham in Surrey; they also rented No 24 Holland Street, Kensington. By 1884, sales of Caldecott's Nursery Rhymes had reached 867,000 copies (of twelve books) and he was internationally famous. A picture book combines visual and verbal narratives in a book format, most often aimed at young children. The images in picture books use a range of media such as oil paints, acrylics, watercolor, and pencil, among others. Two of the earliest books with something like the format picture books still retain now were Heinrich Hoffmann's Struwwelpeter from 1845 and Beatrix Potter's The Tale of Peter Rabbit from 1902. Some of the best-known picture books are Robert McCloskey's Make Way for Ducklings, Dr. Seuss' The Cat In The Hat, and Maurice Sendak's Where the Wild Things Are. The Caldecott Medal and Kate Greenaway Medal are awarded annually for illustrations in children's literature. From the mid-1960s several children's literature awards include a category for picture books. 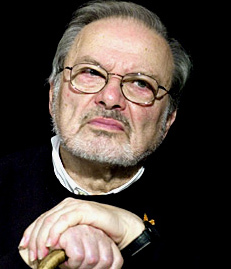 Maurice Bernard Sendak was an American illustrator and writer of children's books. He became widely known for his book Where the Wild Things Are, first published in 1963. Born to Jewish-Polish parents, his childhood was affected by the death of many of his family members during the Holocaust. Sendak also wrote works such as In the Night Kitchen, Outside Over There, and illustrated many works by other authors including the Little Bear books by Else Holmelund Minarik. Walter Crane was an English artist and book illustrator. He is considered to be the most influential, and among the most prolific, children’s book creators of his generation and, along with Randolph Caldecott and Kate Greenaway, one of the strongest contributors to the child's nursery motif that the genre of English children's illustrated literature would exhibit in its developmental stages in the later 19th century. Where the Wild Things Are is a 1963 children's picture book by American writer and illustrator Maurice Sendak, originally published by Harper & Row. The book has been adapted into other media several times, including an animated short in 1974 ; a 1980 opera; and a live-action 2009 feature-film adaptation, directed by Spike Jonze. The book had sold over 19 million copies worldwide as of 2009, with 10 million of those being in the United States. James Edward Marshall was an American illustrator and writer of children's books, probably best known for the George and Martha series of picture books (1972–1988). He illustrated books exclusively as James Marshall; when he created both text and illustrations he sometimes wrote as Edward Marshall. In 2007 the U.S. professional librarians posthumously awarded him the biennial Laura Ingalls Wilder Medal for "substantial and lasting contribution" to American children's literature. In the Night Kitchen is a popular and controversial children's picture book, written and illustrated by Maurice Sendak, and first published in 1970. The book depicts a young boy's dream journey through a surreal baker's kitchen where he assists in the creation of a cake to be ready by the morning. In the Night Kitchen has been described by Sendak as part of a trilogy of books based on psychological development from In the Night Kitchen (toddler) to Where the Wild Things Are (pre-school) to Outside Over There (pre-adolescent). It was a Caldecott Honor recipient in 1971. It was adapted into a five-minute animated short film in 1987 by Gene Deitch. Richard Egielski is an American illustrator and writer, best known for illustrating children's picture books. Edward Randolph Emberley is an American artist and illustrator, best known for children's picture books. Uri Shulevitz is an American writer and illustrator of children's books. He won the 1969 Caldecott Medal for U.S. picture book illustration, recognizing The Fool of the World and the Flying Ship, a Russian fairy tale retold by Arthur Ransome in 1916. Nonny Hogrogian is an Armenian-American writer and illustrator, known best for children's picture books. She has won two annual Caldecott Medals for U.S. children's book illustrations. Since childhood she prefers folk and fairy tales, poetry, fantasy and stories. Paul O. Zelinsky is an American illustrator and writer best known for illustrating children's picture books. He won the 1998 Caldecott Medal for U.S. picture book illustration, recognizing Rapunzel. His most popular work is The Wheels on the Bus, a best-selling movable book. Beatrice Schenk de Regniers was an American writer of children's picture books. Bryan Collier is an American writer and illustrator known best for illustrating children's books. He won both the Coretta Scott King Award, as illustrator, and the Ezra Jack Keats New Illustrator Award for Uptown, the first book he both wrote and illustrated. 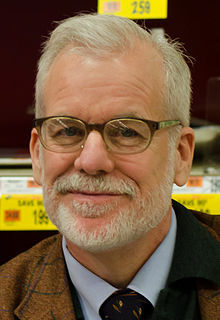 He has won six King Awards as illustrator and he is a four-time Caldecott honor recipient. Edmund Evans was a prominent English wood-engraver and colour printer during the Victorian era. Evans specialized in full-colour printing, which, in part because of his work, became popular in the mid-19th century. He employed and collaborated with illustrators such as Walter Crane, Randolph Caldecott, Kate Greenaway and Richard Doyle to produce what are now considered to be classic children's books. Although little is known about his life, he wrote a short autobiography before his death in 1905 in which he described his life as a printer in Victorian London. Toy books were illustrated children's books that became popular in England's Victorian era. The earliest toy books were typically paperbound, with six illustrated pages and sold for sixpence; larger and more elaborate editions became popular later in the century. In the mid-19th century picture books began to be made for children, with illustrations dominating the text rather than supplementing the text. A Very Special House, written by Ruth Krauss and illustrated by Maurice Sendak, is a 1953 picture book published by HarperCollins. A Very Special House was a Caldecott Medal Honor Book for 1954 and was Sendak's first Caldecott Honor Medal of a total of seven during his career. Sendak won the Caldecott Medal in 1964 for Where the Wild Things Are, which he both authored and Illustrated. A Very Special House was re-issued by HarperCollins in 2001 in hardcover format as part of a project to re-issue 22 Sendak works including several authored by Ruth Krauss. ↑ "Caldecott, Randolph". Webster's New World Dictionary , Wiley Publishing, Inc., 2010. ↑ In a postscript to a letter dated 17 March 1880 from Caldecott to Victorian poet Frederick Locker-Lampson he says "I am to be wed tomorrow 18th"
↑ "Caldecott, Randolph 1846–1886". Children's Literature Review. 2005. Archived from the original on 2016-03-09. ↑ Henry Blackburn (1886). Randolph Caldecott: a personal memoir of his early art career : with one hundred and seventy-two illustrations. S. Low, Marston, Searle & Rivington. p. 212. Retrieved 30 April 2011. Wikimedia Commons has media related to Category:Randolph Caldecott . Blackburn, Henry. Randolph Caldecott: A Memoir of his Early Art Career . London: Low, Marston, Searle & Livingtston. 1890. Stephen, Leslie, ed. (1886). "Caldecott, Randolph" . Dictionary of National Biography . 8. London: Smith, Elder & Co. pp. 239–40. Wikisource has the text of the 1911 Encyclopædia Britannica article Caldecott, Randolph . Works by Randolph Caldecott [ permanent dead link ] at the University of Florida's "Baldwin Library of Historical Children's Literature" (color illustrated scanned books).